Curious about ZMA supplements? Below we will go over what the research says about ZMA and also provide a few good choices if you are looking to try some. If you’re reading this article, it’s safe to say you’re always looking for an edge in your training and recovery practices. If so, then ZMA seems like a perfect fit. ZMA aids in testosterone production, muscle growth, muscle recovery, and can even improve the quality of your sleep. At the surface, it seems like a miracle supplement. Before you dive right in, let’s take a closer look at the facts behind ZMA and review some of the best ZMA supplements that are available now. ZMA is a combination of three different minerals and vitamins. This supplement combines zinc monomethionine/aspartate, magnesium aspartate, and vitamin B6. The ratio of ingredients is extremely important when it comes to ZMA. For the maximum therapeutic benefit, each serving should contain 30mg of zinc, 450mg of magnesium and 10-11mg of vitamin B6. Another important consideration is the form the minerals are in. The form that these minerals are in is a chelate known as aspartate. As zinc aspartate and magnesium aspartate, the body can absorb the minerals more efficiently. Zinc and magnesium in their other forms, such as magnesium sulfate, for example, are not absorbed as effectively by the body. For starters, zinc helps our immune system fight off bacteria and viruses. Zinc also helps our bodies make protein and DNA. It’s also a major component of our ability to taste and smell things. Zinc plays several important roles for athletes as well. (3) The antioxidant properties of zinc help to stimulate many important enzymes in the body. Zinc is also a critical component in protein synthesis which aids in muscle recovery and muscle growth. Zinc also aids in thyroid hormone production. This is important because thyroid hormone production is critical to maintaining your metabolic rate and your body’s ability to burn fat. Extensive research has confirmed that a low zinc diet decreases thyroid hormone production, leading to a lower resting metabolic rate. Magnesium also plays a role in energy production, protein synthesis, gene maintenance and nervous system regulation. In other words, it’s something you need. Vitamin B6, which may be found in some ZMA supplements as pyridoxine, is a vitamin that also serves several helpful functions. (5) Some of those functions help the body to absorb and utilize the magnesium and zinc in ZMA. Many believe that vitamin B6 serves an important complementary role in testosterone production. Research on the subject suggests that B6 does serve some function in testosterone production, but we do not yet know what that function is. All of the ingredients in ZMA are critically important to bodily function, and athletes use a lot of them.. While both Zinc and Magnesium are found in lots of different fruits and vegetables, such as seafood, beans, and spinach, many people, especially athletes are deficient in zinc, magnesium, or both. In particular, over half of all Americans are magnesium deficient. (6) On the other hand, zinc is a mineral that most of us get enough of in our diet. However, since zinc is critical to so many different processes that occur as we train, many athletes are zinc deficient. There are also many other factors that can contribute to zinc or magnesium deficiency. There are a few other things you’ll want to consider before you get to shopping for a new ZMA supplement. ZMA is a trademark of the SNAC Systems company. While anybody can manufacture a blend of magnesium, zinc and vitamin B6, SNAC Systems owns a trademark on the name ‘ZMA.’ So, any product you see that’s called ‘ZMA’ is paying a licensing fee to SNAC Systems. To get around this fee, some supplement manufacturers call their version of ZMA by a different name. So, if you come across a supplement called by a different name when you’re shopping, just check the ingredients. 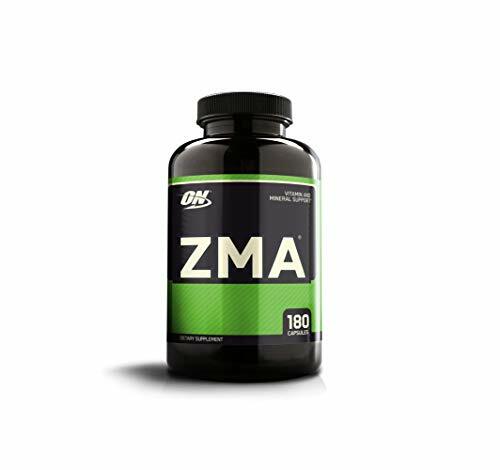 Nearly all ZMA supplements feature an identical formula. This formula was developed by SNAC Systems and is widely believed to be the most beneficial combination of ingredients. The formula is 30mg of zinc to 450mg magnesium and 10.5-11mg of vitamin B6. While there’s usually no instances of side effects when taking ZMA, it’s important to note that if you have too much zinc or magnesium in your system, there can be adverse effects. In other words, if you don’t need a ZMA supplement, or if you’re taking too much ZMA, it may actually have the opposite effect of what you’re hoping for. The most common side effect reported by ZMA users is more vivid dreams. While we know that magnesium is known to promote grogginess, researchers are unsure as to why ZMA produces more vivid dreams in some subjects. One theory is that the vitamin B6 is responsible for this effect, as a study completed at City College of New York suggests that test subjects who received vitamin B6 before bed were able to more easily recall their dreams than a placebo group. Too much zinc in your system (upwards of 50mg) can have the exact opposite effect of what you’d experience at a therapeutic level. This includes a negative impact on your immune system, muscle recovery, and growth. It can also reduce the amount of good cholesterol in your body. Taking more than 450mg of Magnesium can have a negative impact on the quality of your sleep. Since vitamin B6 is water-soluble, any unused portion of the vitamin is released through urine, so there isn’t much concern with negative impacts here. When it comes to taking a ZMA supplement, timing plays a critical role. Research suggests that the best time to take ZMA is an hour before bed. At this time, your body can maximize the utilization of the ZMA. It’s also believed that taking ZMA at this time has a positive impact on sleep quality. Zinc and Magnesium don’t play nice with food. The body has a hard time absorbing these minerals when they’re taken with food, especially foods like dairy that are rich in calcium. In fact, anything rich in calcium will interfere with the uptake of zinc and magnesium. Bioperine is a black pepper extract that’s sometimes used in small doses with ZMA supplements. (7) It is believed that this ingredient helps to aid in the body’s ability to absorb and utilize zinc and magnesium. There are tons of ZMA supplements on the market. There are also several other magnesium, zinc and vitamin B6 supplements that aren’t actually called “ZMA” due to trademark issues. It can be difficult to wade through the different options to select the best ZMA supplement for you. We took a look at several of the most popular ZMA sups on the market, and here’s what we found. When evaluating the products below, you’ll probably notice that they are all extremely similar and in most cases, they possess the same ingredients. So, the best ZMA supplement for you boils down to a matter of personal preference. 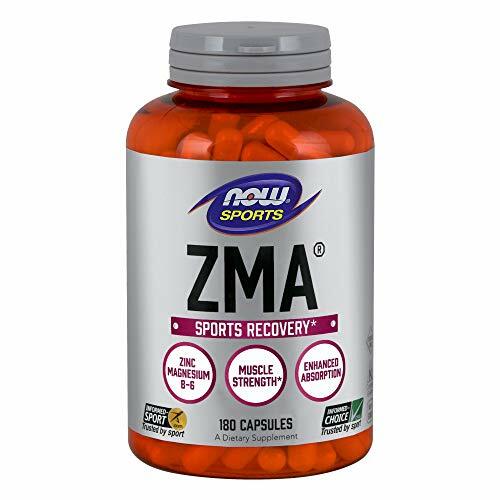 This ZMA supplement from NOW Sports combines a combination of 30mg of zinc with 450mg of magnesium and 15mg of vitamin B6 (as pyridoxine hydrochloride). Compared to other popular ZMA sups, this supplement contains an extra 3.5-4mg of vitamin B6. You’ll have to decide for yourself if the extra B6 makes the pills any more effective. Each bottle contains 60 servings of ZMA, in 180 capsules. This offering from Optimum Nutrition employs a slightly different formula for their ZMA. It’s also perhaps the most popular ZMA supplement on the market. Each dose contains 30mg of zinc with 450mg of magnesium and 10.5g of vitamin B6. This formulation seems to be the most popular, and you’ll find that most ZMA sups have 10.5g of vitamin B6. You can purchase these in 90 count or 180 count bottles, which offers a bit more flexibility than you’ll find from most other brands. This works out to either 30 or 60 servings, respectively. 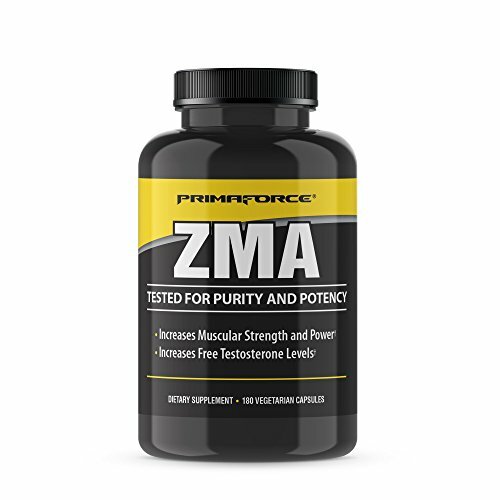 Primaforce’s supplement is virtually identical to the ZMA from Optimum Nutrition. Available in 180 count bottles, the formulation for these pills is exactly the same, and the same number of servings is included in each bottle. One bottle contains 120 Capsules with 7 active ingredients to help restful sleep without the tossing and turning. Unlike the supplements we’ve looked at so far, Z-Matrix from Evlution Nutrition switches up the tried and true ZMA formula in favor of what Evlution hopes to be a more well-rounded supplement. Z-Matrix features the same 30mg of zinc and 450mg of Magnesium. 11mg of vitamin B6 are added instead of 10.5. This supplement also adds vitamin D, folic acid, L-theanine and Bioperine black pepper extract to aid in the absorption of this supplement. Considering that Z-Matrix also includes Bioperine, you may want to give this particular formulation a shot, since it’s believed that this ingredient can aid in the body’s uptake and absorption of the other ingredients. Each bottle contains 120 pills, which works out to 30 servings. This is also a slight departure from other brands. Considering the usual dosage for men and women, other brands make it easy to dose the supplement properly at home (men take three pills, women take two). With Z-Matrix, the recommended dose is four pills for men and 3 for women, which makes for a higher dose supplement for women. While any of the supplements above make a great choice if you’re looking to begin taking ZMA, we believe that one manufacturer has really hit the nail on the head with their offering. 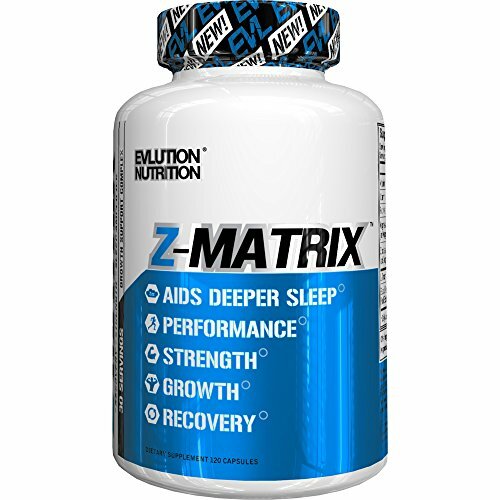 Z-Matrix from Evlution Nutrition pairs the standard ZMA formula with other beneficial ingredients, including Bioperine black pepper extract to aid absorption. For this reason, it’s our favorite of the five. While it’s certainly not as popular as other supplements, such as creatine or NO-boosters, ZMA may be a hugely beneficial supplement to add to your arsenal. Each of these options we’ve covered makes great options if you’re looking for a ZMA supplement. Many of them are virtually identical in every way. When it comes to deciding which ZMA sup is best for you, you may want to opt for a company whose products you know and trust already. Or, you may choose to go with one of the many options which incorporate other helpful compounds into their ZMA blends, such as Z-Matrix. As with all supplements, you’ll want to look for any positive or negative impacts they have on your workouts and lifestyle in the quest to identify what’s best for you.